Straighter smiles look great, but they also reduce your child’s risk for a number of oral health conditions. If teeth don’t fit together properly, pressure when chewing may be uneven leading to chips, wear, or dental cracks. We’ll complete an orthodontic evaluation around the age of eleven to determine whether or not your child will need orthodontic treatment. If we find smile correction would be in your child’s best interest, we offer both traditional braces and alignment tray orthodontics. Call Smile More Kidz to schedule an orthodontic consultation today. 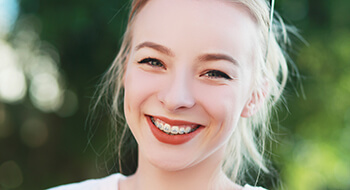 Traditional bracket and wire braces are still the most predictable and popular orthodontic solution, and they allow us advanced precision that gently shifts teeth to their ideal position. Brackets are attached to the front surfaces of teeth. They are then connected by wires that they adjust to place pressure on the teeth, moving them into their ideal alignment. Depending on the extent of the necessary orthodontic treatment, we can typically align teeth in twelve to twenty-four months. 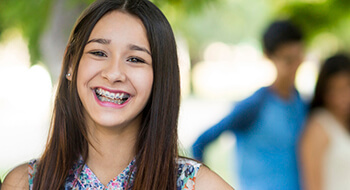 Is your teenager easily embarrassed, involved in numerous activities that would interfere with regular orthodontic visits, or plays an instrument that could be adversely affected by traditional bracket and wire braces? 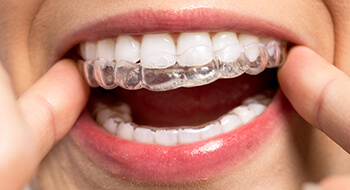 You may want to consider alignment tray orthodontics. These nearly invisible aligners are comfortable, only require brief appointments every six to eight weeks, and they’re removable. Your child will get the straighter, healthier smile they need with only the most minimal impact on their daily routines.